Since its release in 2017, PUBG receives high reputation and population among the PC gamers and game lovers from other platforms. And many games like PUBG come to mobile and other devices. Meanwhile, at the beginning of 2018, another multiplayer game – Fortnite Battle Royale also attracts gamers’ attention. The themes and modes of both games are similar, so people sometimes may wonder the differences between the games. 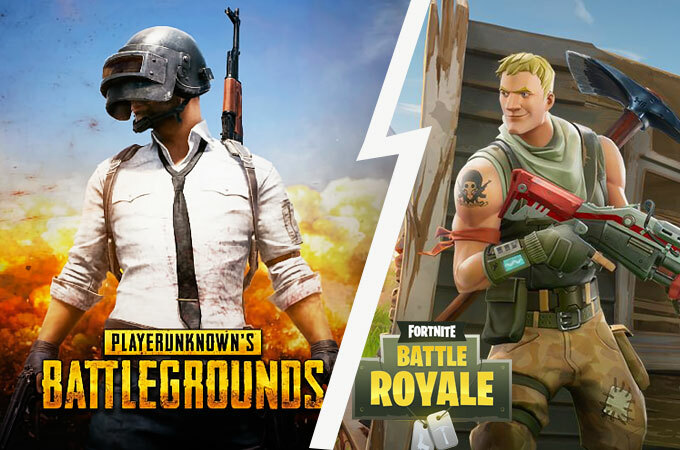 Hence, we make a Fortnite VS PUBG comparison to help you choose an ideal game. From the beginning of the game, map may be one of the most obvious differences that distinguish the one from the other. 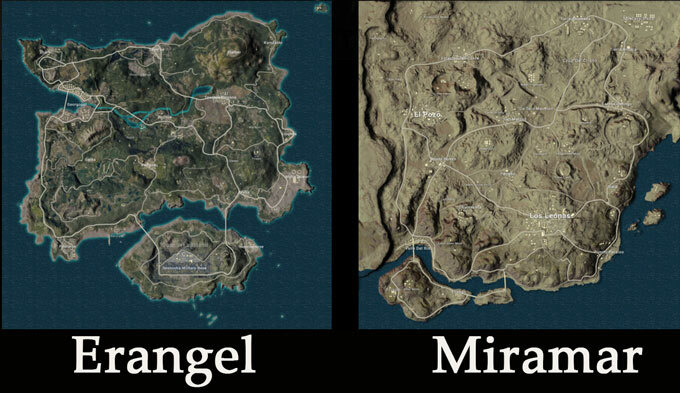 Account: For PUBG, it has two maps now: Erangel and Miramar. And users will get one map randomly. 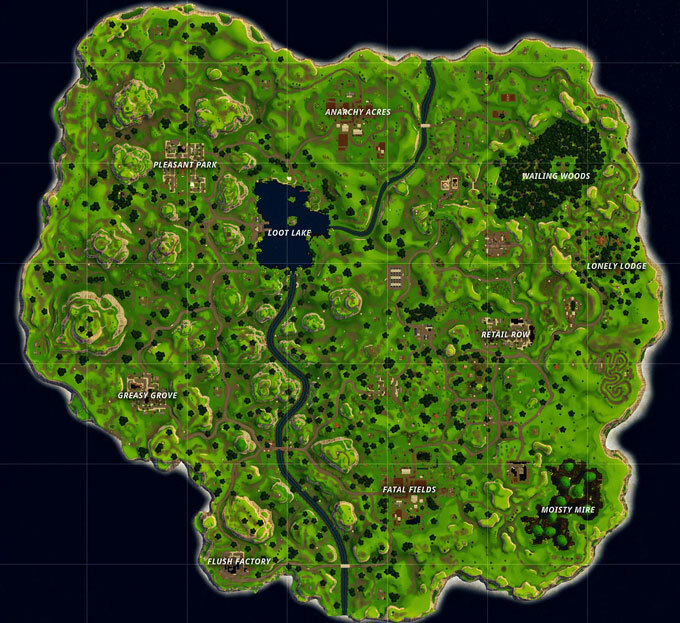 On the other hand, Fortnite Battle Royale only has one map. Size: Actually, the maps in PUBG are bigger than the one in Fortnite. Erangel is an 8x8km island with many buildings in it. And players sometimes need to use vehicles to move through the island. The same like Erangel, Miramar is also 8x8km. It is a city-centric map with many villages there. 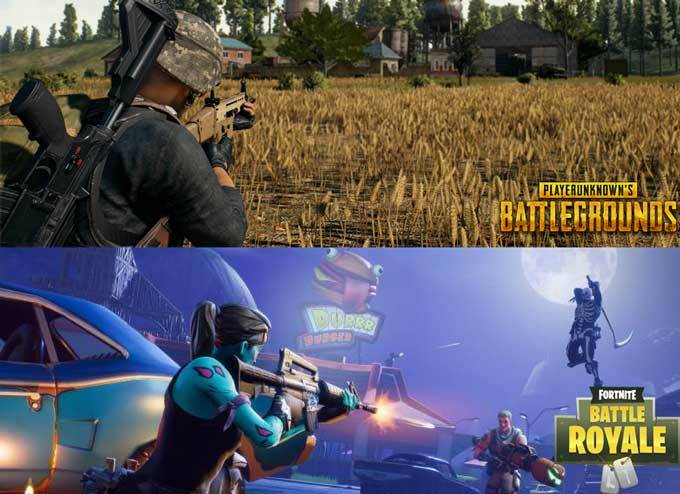 When Fortnite VS PUBG in map size, the former is much smaller. Terrain: When checking Fortnite Battle Royale, you may notice that the land is green, as it is full of hills. And at the center of the island, there is a lake and a river is running through the island. Inside PUBG, Erangel doesn’t have too many hills and users need to find a place to hide themselves or lie prone for better protection. And both maps have a gulf separating the island to two parts, thus, players sometimes need to cross the gulf to reach the other side. As mentioned above, the map in Fortnite is not as large as the ones in PUBG, so there is no need to use any vehicle to move across the land. 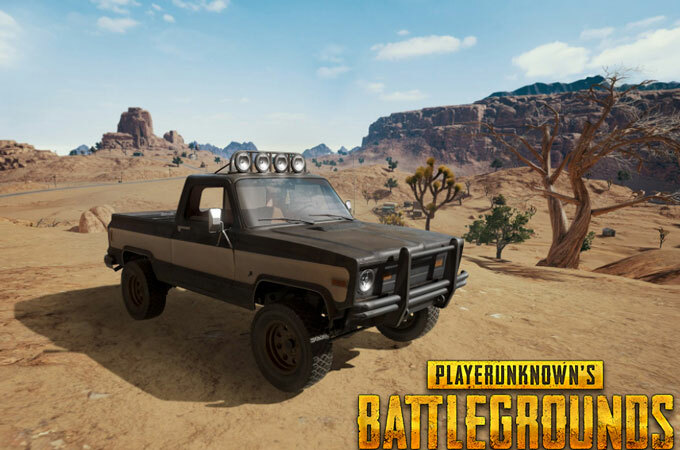 However, in PUBG, there are many types of vehicles gamers can make use of, such as buggy, motorcycle, pickup, van, UAZ, C-130, Aquarail, etc. Apart from the transportation, the number of weapons in PUBG is more than that in Fortnite. Moreover, weapons are harder to get in PUBG than in Fortnite Battle Roayle. The items in former are scaled to common, uncommon and rare. And in latter, the game marks the equipment with different colors to show their rarity. For example, orange stands for the best, and after is purple, blue, green and grey. Both games need the players to fight for survival. However, in Fortnite, gamers have another thing to do – build constructions. In PUBG, players need to run across the areas to find a place as a shelter, while in Fortnite, gamers can use the resources to build their own shelters. These two games have totally different painting style. 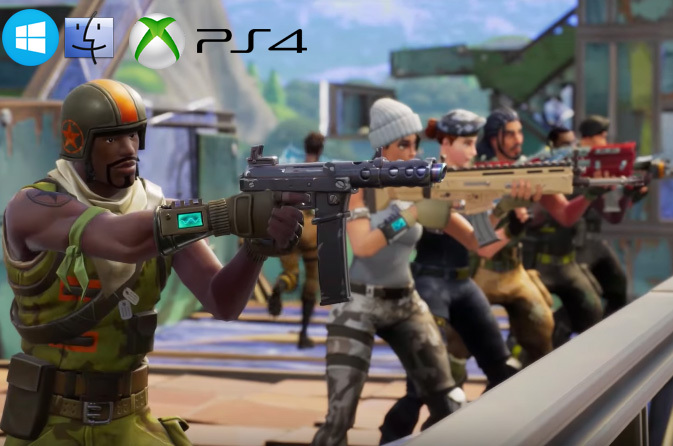 Fortnite is better looking and more animated, on the other hand, PlayerUnknown’s Battlegrounds looks more realistic. Also the color in Fortnite is more vivid than its counterpart. Fortnite is free to play now, while PlayUnknow’s Battlegrounds requires $29.99 to play. 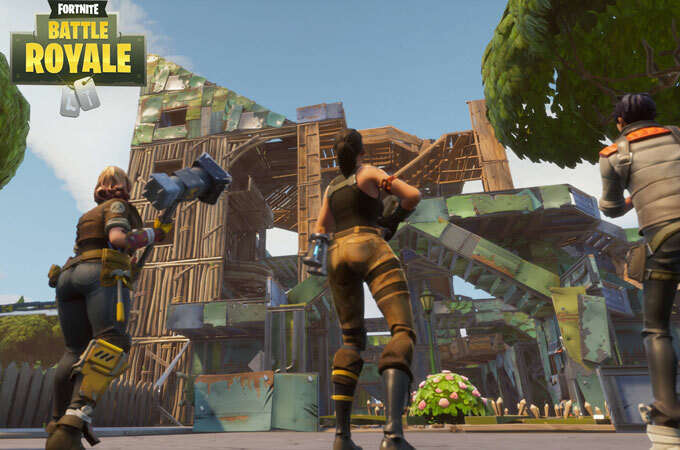 For players who are new to such multiplayer mode gameplay, Fortnite is much easier for you to quickly get familiar with game mode. For players who enjoy the tense feelings during the game or who prefer to military sims, PUBG can be your first choice. If you play the games on your Windows or Mac, you can also record your gameplay with desktop recorders. Here are also some feasible solutions for Xbox gameplay recording and PS4 game recording.